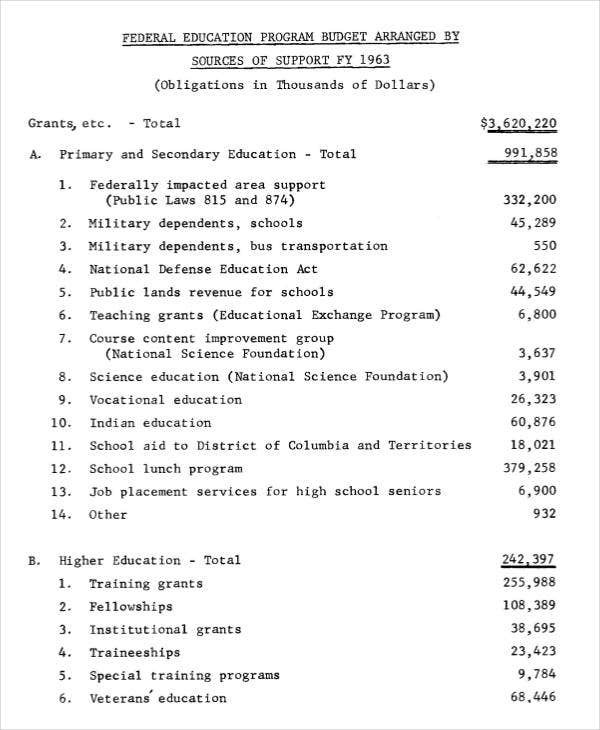 A program budget is a document that lists down all the items involved in different processes needed for program completion, which are needed to be paid. 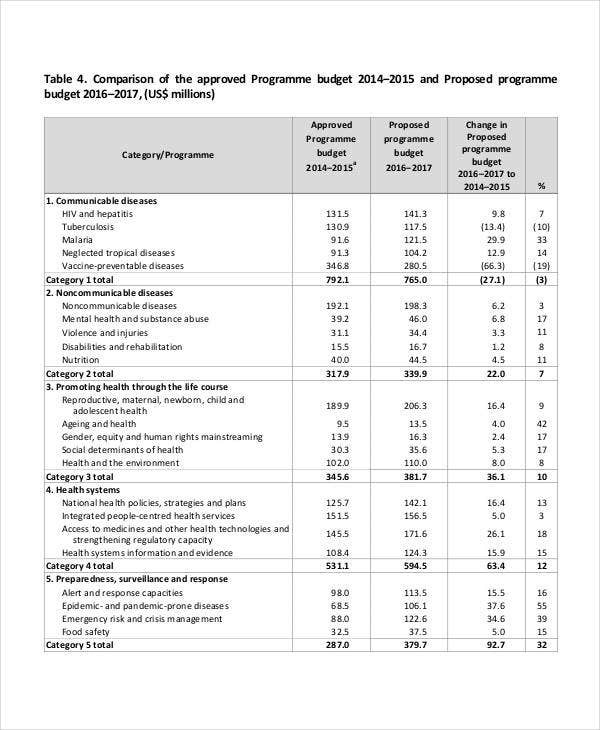 Other than the expenses of the program, a program budget also have to consider the sources of program funding and the proper allocation of these funds to assure the efficiency of spending money for the program areas where it is needed for. 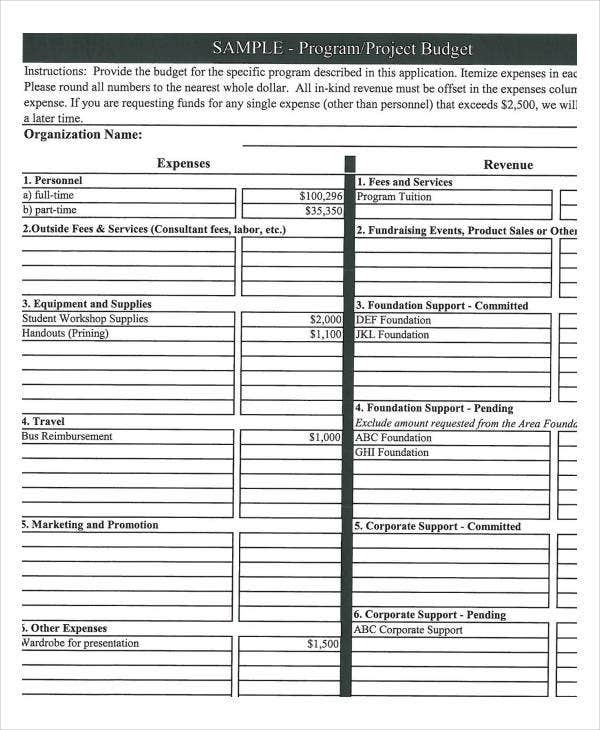 We can provide you with samples program budget templates to guide you in creating the program budget that you need to implement to your company’s specific activity or the project of your organization. 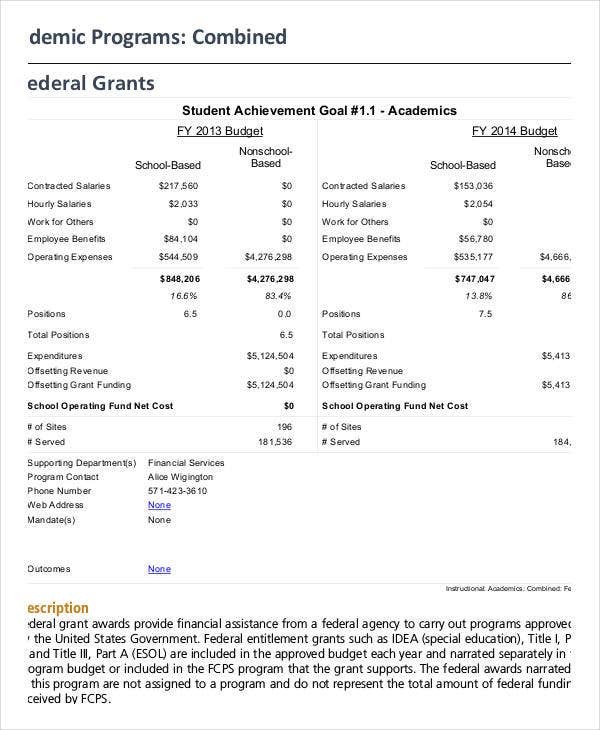 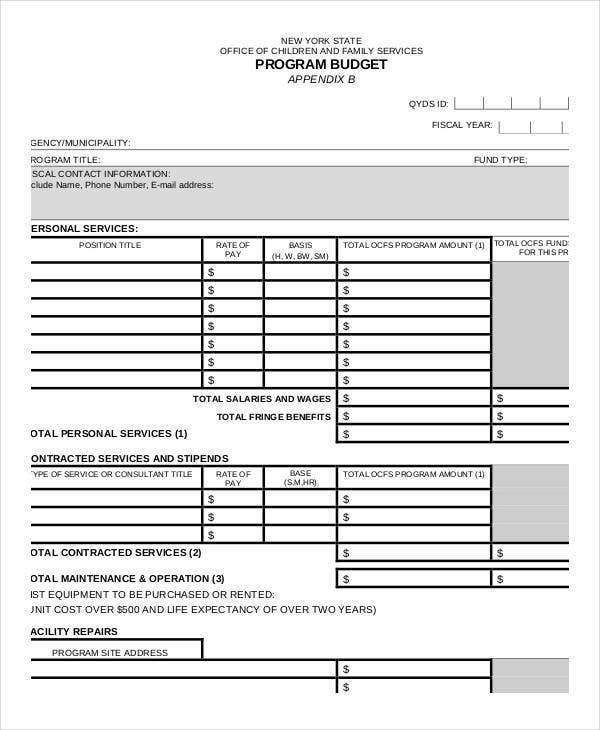 Also, we have other downloadable Budget Template samples usable as references in creating budget schedules and effective budgeting methods. 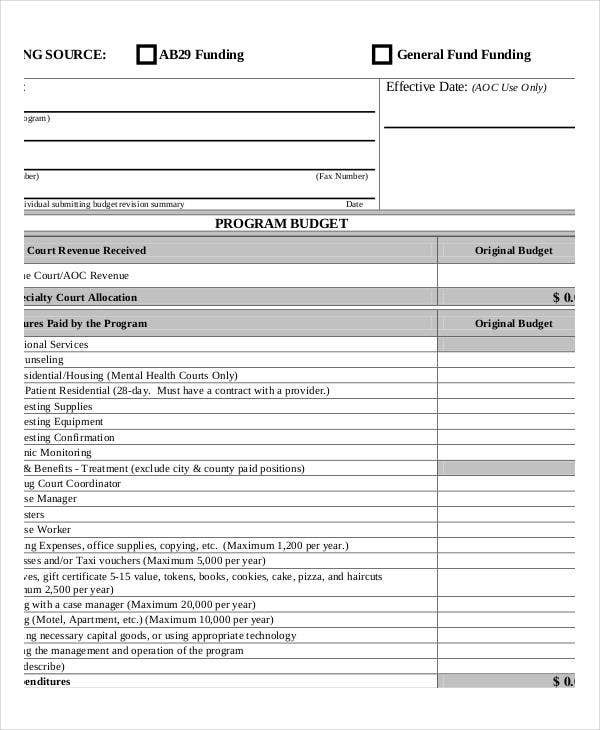 Aside from our program budget templates, you may also browse through our Monthly Budget Template and Weekly Budget Template samples. 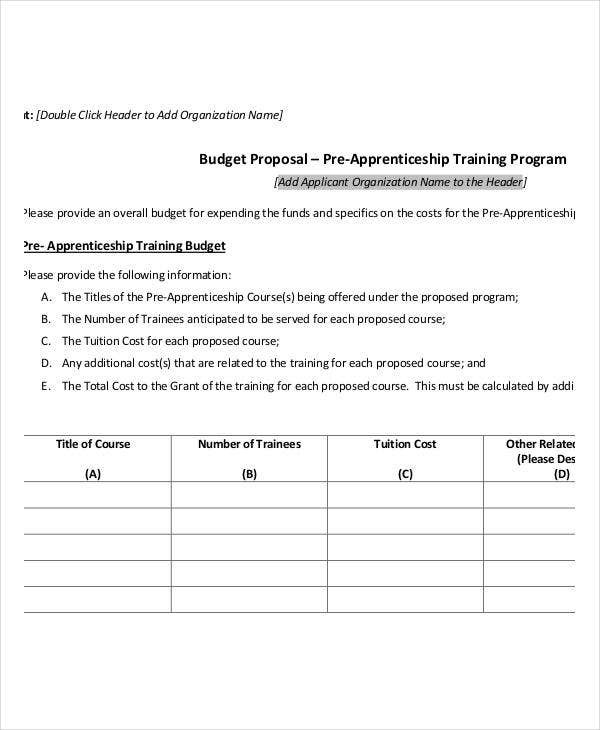 Be aware of the budget that is allotted for the program, or if there is no definite amount yet because of sponsorship activities, set a budget that is realistic, attainable, and achievable. 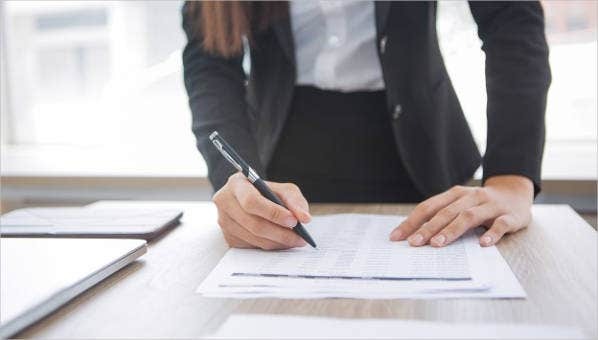 List down all the items that are needed for the program and make sure to know the things that are needed to be prioritized in terms of the budget that should be allotted for them. 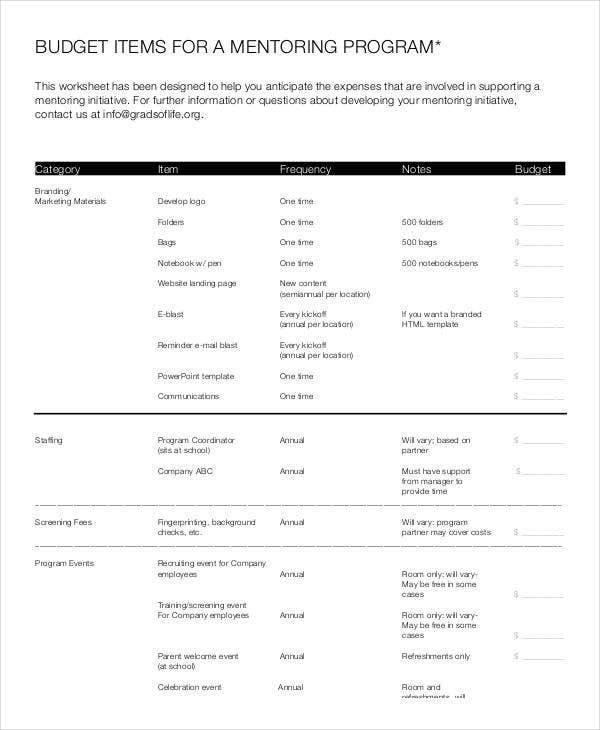 Create a timeline on when the different parts of the budget can be gathered so you can align your activities depending on the budget already at hand. 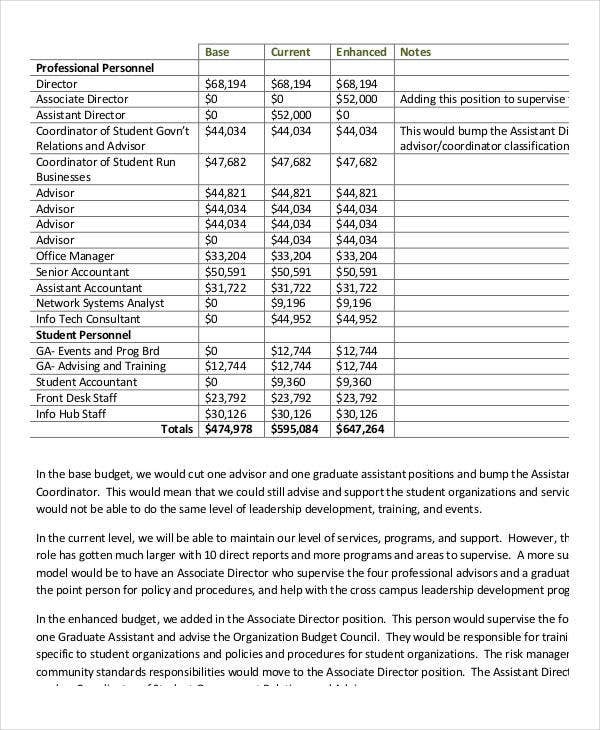 Make sure that you know entire purpose of the program so you can create a program budget that can help it achieve its goals and objectives. 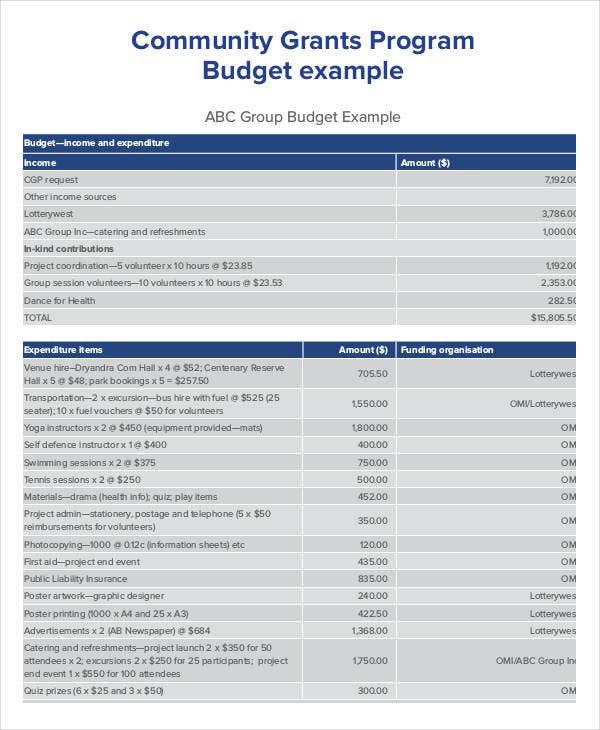 Other than our sample program budget templates, you may also browse through our Yearly Budget Template samples for references about a different kind of budgeting process.